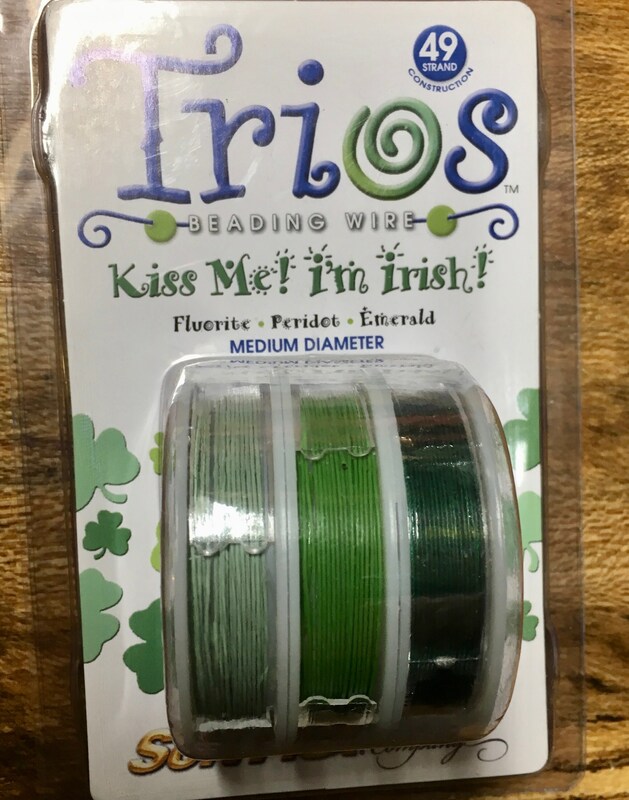 Trios Kiss Me I'm Irish SPECIAL COLLECTION! The celebration of shamrocks and all things green. Trios Color Wire is a lead-free beading wire for designers that want to create jewelry with color mixing in mind. Trios Color Wire Sets encapsulate the vivid palette of nature and the glamour of the fashion world. 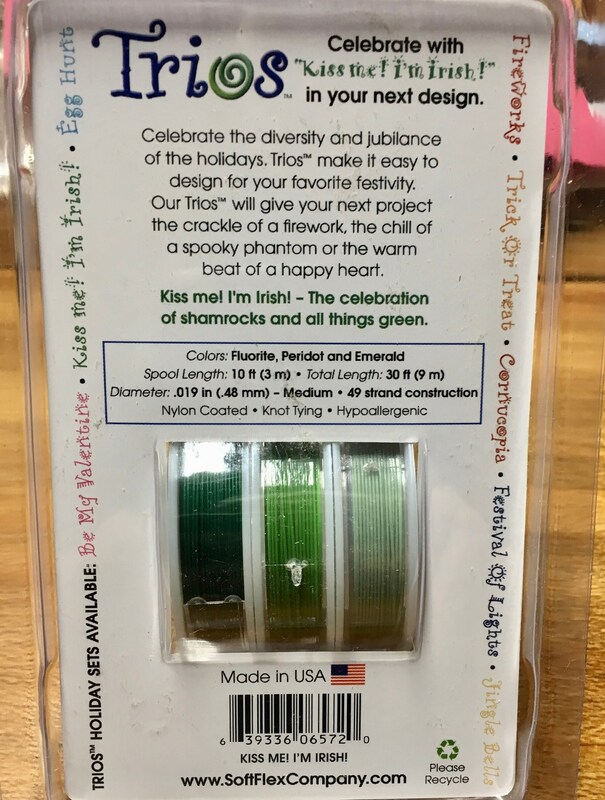 Trios Color Wire Sets are comprised of three 10 foot spools of Soft Flex Wire, the wire is constructed of 49 micro woven stainless steel wires. We recommend Trios Color Wire Sets for designers that want to design with a motif or gemstone in mind. Basic Usage: Ideal all purpose wire. Great with glass, mineral, and metal beads. We suggest finishing with 2x2mm crimps.